The Canon Pro9500 printer is one the best investments I’ve ever made. (It has since been replaced by the Canon PIXMA Pro9500 Mark II.) The printer handles up to 13″ x 19″ borderless prints without a problem. Ink can be a bit expensive. However, the tradeoff is that prints look absolutely stunning. You would need a magnifying glass to see dots. Back to Ilford. Their premium pearl paper has a slight stipple effect. A very nice texture reminiscent of vintage photo paper. It’s sheen is somewhere between matte and gloss. Perfect for those who have a hard time making decisions. I also think their matte paper is quite nice. All of their papers have corresponding printer profiles available through Ilford’s web site. 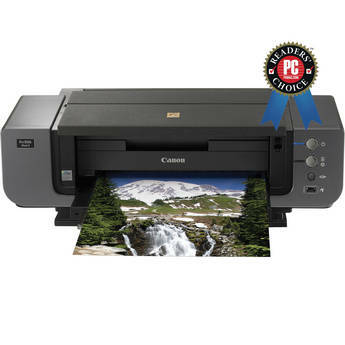 If you are looking for a printer that can handle every type of paper flawlessly, look no further. Sure it’s a nice chunk of change, but this isn’t a printer than you use for five years and throw away.